There are so much negative comments about Turkish drums so I want to ask people who actually have real experience. I have heard many and even seen it but never tried so I am not exactly sure if it’s really that tough or is it just the concept that we have built? Re: Are Turkish drums hard for beginners? I've tried a Turkish durbakke before. The problem I have with it (and my dad and some other people I know have this same problem) is the rim on the top. The rim is really thin and angular, and the bolts stick out a lot, so the sharp corners really hurt the hands quickly. 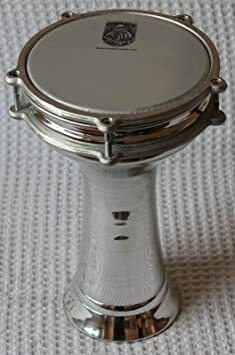 I've even heard (though I don't know how true it is) that some people have made their hands bleed when they tried playing a Turkish durbakke because of the corners and bolts digging into their hands. Arabic durbakkes, on the other hand, have a nice round rim at the top, and the bolts are covered, so they're much more comfortable to play. In the end, though, it just depends on personal preference. Some people like the Turkish ones better, other people like the Arabic ones better. As a friend of mine said (about a different instrument, but it still applies here) : "Play what you love!" You are spot on Hylian, I personally prefer Arabic because I have used it for many years, and it’s much easier as you term it so yes I would agree that Turkish is slightly difficult to control while Arabic one is easier and slightly better as well. Hylian I could be wrong but I have seen ones without any rim, so don’t know if we can really remove it or not? But I have seen it. Arabic style, or Turkish style? 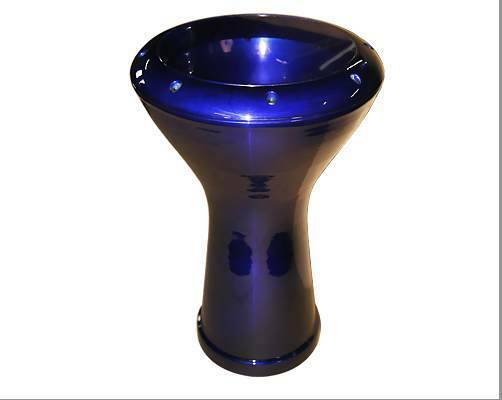 If it's the Arabic style, I would guess maybe what you saw was a traditional ceramic one?